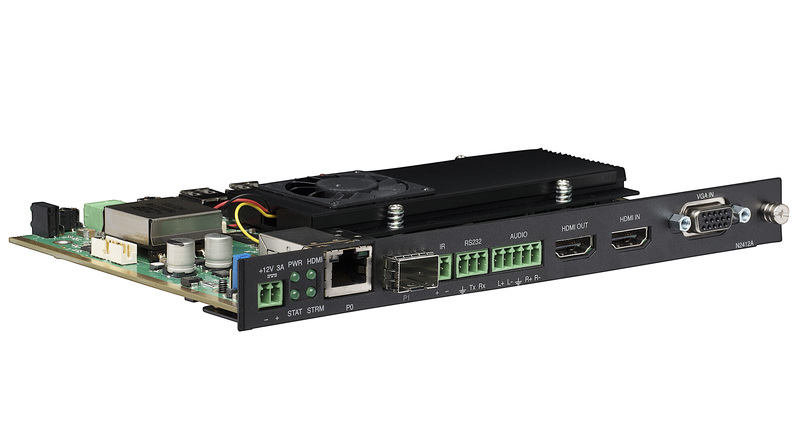 The NMX-ENC-N2412A is the first low-latency Encoder Card to distribute video at resolutions up to 4K60 4:4:4 over Gigabit Ethernet networks. 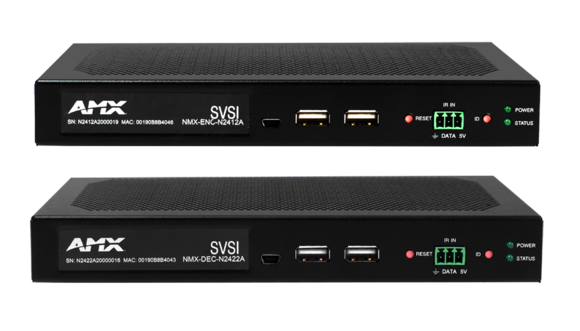 Utilizing JPEG2000 encoding, the N2412A and N2422A encoders and decoder (N2400 Series) deliver cinema quality video with just two frames of latency. 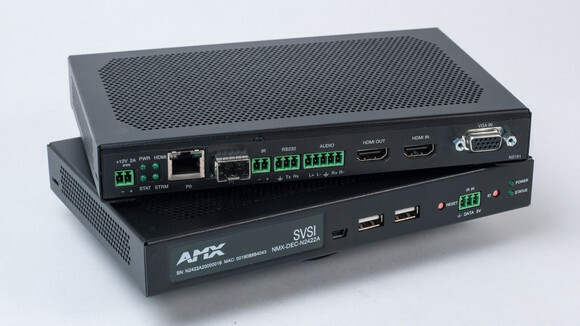 Furthermore, these products support HDMI 2.0 and HDCP 2.2, offering increased compatibility with 4K sources and displays. 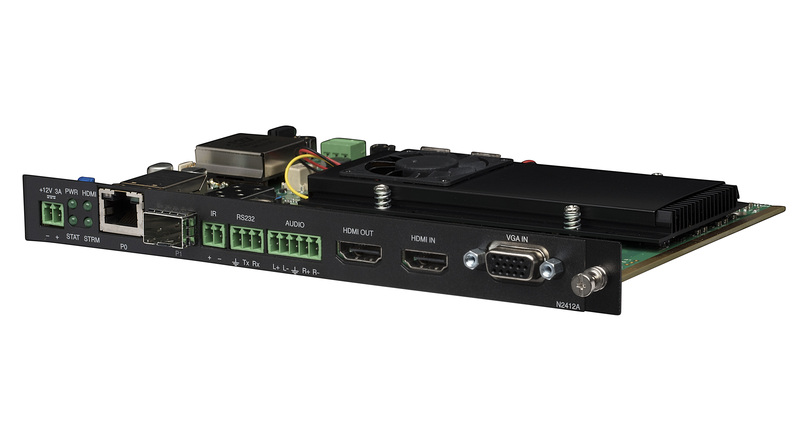 The N2412A Card is designed for use with the NMX-ACC-N9206, 2RU Rack Mount Cage and NMX-N7142 Presentation Switcher with Networked AV.